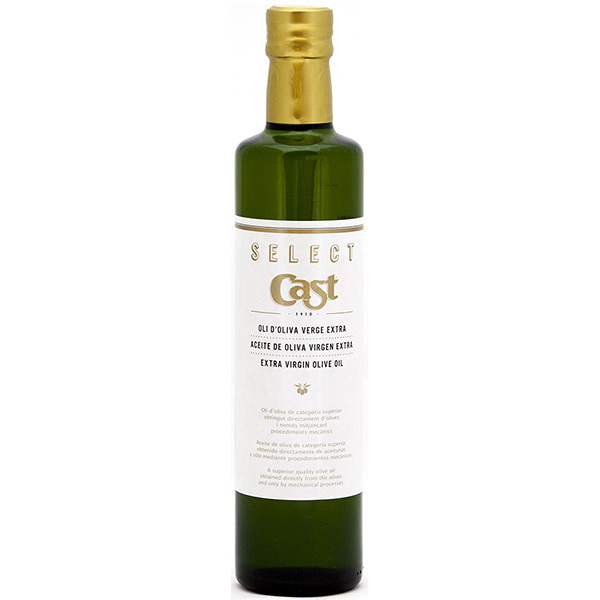 Here you can acquire 500ml Select Cast extra virgin olive oil. 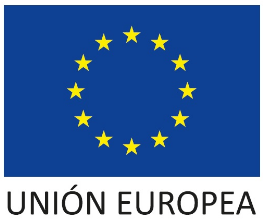 An OliSoldebre product placed in a glass container with screw cap. It is ideal for its use in cuisine and it allows optimal preservation. The Select Cast extra virgin olive oil (EVOO) has an acidity degree of <0,6º. It is made by mixing four different olives: arbequina, farga, morruda and sevillenca. This blend gives a fresh aroma and, moreover, it remembers to green olives, apples, bananas, orange blossom and fennel. It also has lots of floral tones. It has the PDO certificate and is ideal to be consumed raw, especially for saladas and appetizers. LThe olives are picked directly from the tree or harvested mechanically just at the right moment of ripening. Thereby, the resulting oil is not affected and maintains all its antioxidants and vitamins. A balanced mix of the varieties: morruda, sevillenca, farga and arbequina. Fruity flavour from the green and ripe olives, green leaf, green almonds and ripe bananas. You can appreciate a slightly touch of artichoke, bitter and gradual spicy and a light astringency, long and ongoing.